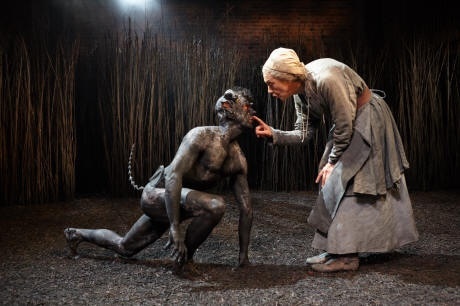 The devil is in the detail of this Jacobean witchcraft play and latest offering from director Gregory Doran, for it is the black dog of Lucifer that adds a much-needed boost to the proceedings. It's based around the true story of Elizabeth Sawyer, who was convicted and hanged for being a witch in 1621, and at its core is a tale of morality on whether a lonely, impoverished woman was made the scapegoat for every bad act in the rural town of Edmonton. But with at least three playwrights collaborating on this drama - William Rowley, Thomas Dekker and John Ford - there are various sub-plots that distract from the main fascinating witch's tale and leave a disjointed and sometimes humdrum feel to the plot. 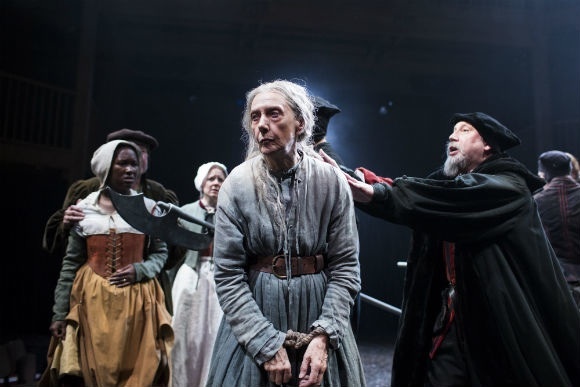 Esteemed Bafta and Emmy award-winning actress Eileen Atkins (Cranford and Gosford Park to name a few) has returned to The Royal Shakespeare Company (RSC) after 17 years to take on the title role of witch Mother Sawyer, but even her distinguished performance is not enough to keep you fully immersed. Her presence is also fairly brief in the context of the whole play and I found myself willing her return at more laborious moments. True to the role, she seemed to leave the audience spellbound at her every occasion. Always poised, intense and drawing you in to her plight. We see poor, old, humpbacked Mother Sawyer persecuted and bullied to the point that when the devil does appear to her in the form of a dog, she quickly takes up an offer to seek revenge on the locals who have tormented her so cruelly. There's a tender relationship between Atkins and Jay Simpson, playing the hound of hell superbly. He's sinister yet playful with a lithe body completely painted black and all but naked except for a rubbery spine, tail and cod piece. Each jagged yet slow movement embodies such a dark creature. Meanwhile, there other fairly routine Jacobean plots afoot in this sleepy town - a charming rogue who has ended up married to two women and commits vicious acts to find a way out of his predicament, and a silly, comical figure lusting after a woman out of his reach and being made a fool of by the devil. Unlike director Doran's other recent productions, he has chosen to simplify the stage for this traditional production - in terms of set and costume - stripping it down to just a backdrop of tall corn stems for most of the play. 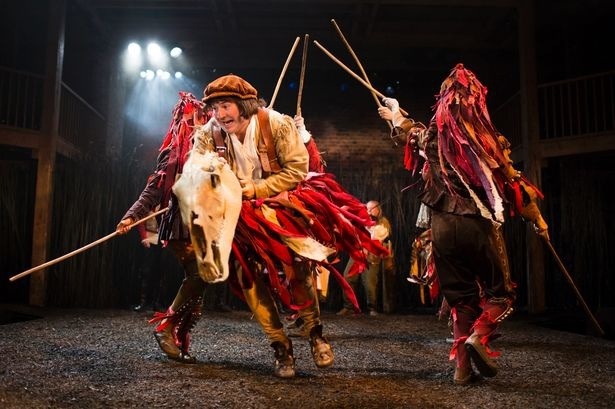 Yet scenes with the livelier choreography of bewitched morris dancers or the special effects of ghostly apparitions were a welcome addition and it could have done with more of those sensory aspects that are normally a forte for Doran. Tickets cost £5 to £48 from the RSC website or by calling 0844 800 1110.